Here’s a quick list of some of the most frequently asked questions authors ask us. or ask your question here and I will get back to you in a flash. 1. First you tell me some basic details about your book by completing this short form. 2. Then I will email you to chat about your requirements. We’ll talk about your book, its story and the general theme of your book cover. 3. You submit a 50% deposit (securely by Paypal) so I can get started on your design. 5. You give me feedback on the design, and I will make changes or create a new design until you’re 100% happy. Unlike other designers there is no limit to the rounds of changes we will make. We want you to be 100% doing-backflips-delighted with your new book cover design, so will keep designing until you’re jumping with joy. Many designers charge extra fees if you want more than two rounds of changes. I think this is unfair to you. After all you’ve spent countless days writing your book. You deserve to have a designer spend care and attention on your cover design, without the worry of having to pay extra fees if you want more changes. This is the cornerstone as to why so many authors like working with us. We treat them fairly. Yes. You get as many revisions as you want until you are 100% happy (although, 95% of the time my clients are delighted with the first design I create). How soon do I get my book cover design? I have a very quick turnaround time. I send you the first draft for review in approximately 12 to 14 working days. Sometimes this can vary a little during busy periods, but I’ll always keep you informed so you’re never left in the dark. After you’ve reviewed the first draft and given me feedback, I can deliver the complete and final design 3 or 4 days later. What information should I provide when I order? I’m still writing my book. Are you able to design the cover without a final page count, then fine-tune once I know it? Yes absolutely, I can start the design and then later when you know the final number of pages I adjust the spine to fit. No problem at all. I have some strong ideas in terms of concept, fonts, imagery, etc. Are we able to discuss them prior to you beginning work? Of course, I would love to hear your ideas. This makes for a better cover, as it is a collaboration between you and I.
I have a synopsis for the back cover, but am still waiting on an endorsement. Do I have to have all this information now, or could you add this for me later? I offer unlimited changes so I can get started on your book now and add the extra information to the back cover later. That’s no problem at all. Is the front, spine and back included in the cover design? Yes, I design the whole thing, including the spine and the back. So your book cover looks beautiful from all angles. I don’t understand techy things, but I want to self-publish my book. I know it can be daunting trying to understand the technical aspects of self-publishing. Don’t worry. Just drop me a line and I would be very happy to advise you (no charge). “The two qualities I most highly recommend in Peter – the unlimited revisions and just the simple chops to make them happen. 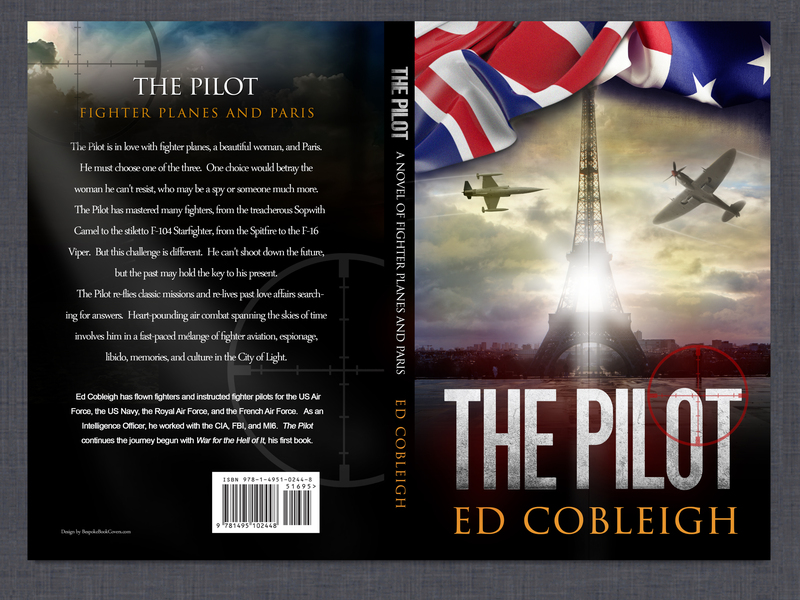 I highly recommend Peter for the terrific job he did on my book cover. He simply had the chops to execute things that I asked for. He did what I asked much better than I even imagined it. No. To keep my service convenient for authors, I only require 50% payment (securely by Paypal or card) when I begin your book cover design and the remaining 50% upon completion. How can I be sure it’s safe to pay you? We understand the need for security when buying anything online. Which is why we accept payments securely through Paypal. It’s the safest method of payment online today. You can rest easy and have peace of mind, knowing that’s one less thing to worry about. No problem. If you don’t have a Paypal account you can pay with a card instead through our secure payment server. Just let me know and I will arrange it for you. Your book cover designs look great, but I am worried you’re very expensive. Absolutely. I would love to talk to you. Unlike expensive design agencies who charge a fortune we are a family-run business (just my wife Caroline and I). We think it’s important to treat our clients well. We believe all authors deserve a great book cover design (not just those who get accepted by big publishing houses), so we try to stay within reach so we keep our prices as affordable as possible. How experienced are you in design? I have over 17 years of experience in the world of design (I am older than I look), so your book cover is in safe hands. I like your designs but I don’t see an example of the same genre as my book. How do I know you can design what I want? I design for lots of different genres, and am always adding new ones to my portfolio of work. Drop me a line and we can discuss your design. I love designing for new genres so I am sure I can make a book cover you’ll love. If you don’t like the design, I will change it or re-design until you are 100% happy. I published a book already, but would like to change the cover. Can you create a new cover design for me? Yes I have many clients who have an existing book cover they want re-designed. Drop me a line here and we can have a no-obligation chat. I’m very friendly. Can I speak to you on the phone to discuss my book? Absolutely. I understand some people prefer to talk on the phone. Just let me know your number and I will gladly call you back at a time that suits you. You don’t have to waste your money sitting in a queue listening to robot messages. It’s just you and me chatting about your book. How customer service used to be. I’m not finished my book yet, but I would like to talk to you about a cover design. Yes, I would love to chat to you about your book cover. We can talk on email or on the phone if you prefer. Just get in touch and ask away. I’ve no clue about self-publishing but really want to get my book out there without the hassle. Can you help? Certainly. I work with authors from all over the world so am very familiar with the various publishing methods, from Kindle ebooks to POD (print-on-demand), I can advise you which route to take. No charge for this advice. but I don’t know where to start? For a small fee we can help you get your book uploaded to any of the top self-publishing platforms, so you don’t have the headache and frustration of trying figuring it out yourself. Do I have to pay extra for stock images? No. The price you pay for your book cover includes all stock images used. We buy all stock images, so you’re never surprised with any nasty extra fees. of book, mini website) to match my book to help promote it. Can you do these? and are fantastic promotional tools. I will happily chat to you about your requirements. You sound too good to be true. Can I talk to clients who have worked with you? out from them what it’s like to work with me. Is there a need to sign any non-disclosure agreements or privacy documents? which you should read and confirm during the ordering process. I have a photo I want incorporated into my cover. if you wish. Or you can leave it to me to create a suitable one. Should I credit you on my book’s copyright page? with you to create the book cover of your dreams. I answer all emails fast, so you won’t be waiting days for a reply. How do you work with clients in different countries? With the internet these days it’s easy for our clients to work with us. We use email, the instant chat box (in the lower right corner of this site), and the phone to talk to our clients. We are very flexible in how you want to work. If you prefer to talk on the phone, that’s no problem. We can call you at a time that suits you. I need to talk to someone before I make a decision, is this possible? consultation, contact me here to set up an appointment. I have some questions which are not listed here in your FAQ. Yes, I would love to hear from you. Just email peter [at] bespokebookcovers.com and I will get back to you in a snap. Thank you for taking the time to check out our services. Please let us know if we can be of more help.